Les and Chris Yates have been cross-breeding Galloway and Black Angus cattle at Lemieux Creek Ranch for 20 years. The ranch is located in the beautiful Bulkley Valley in north-west British Columbia, near the Town of Telkwa, approximately half way between Prince George and Prince Rupert. Our goal is to raise healthy food from healthy animals. Galloway cow with her calf and an adopted orphan. We manage our land to be sure the grass is plentiful and nutritious so that from May to November our cattle will thrive on the rolling tame pastures and allow us to make high quality hay and silage to feed the herd for the winter. The cows graze stress-free on lush grass and drink clean water pumped from mountain streams. 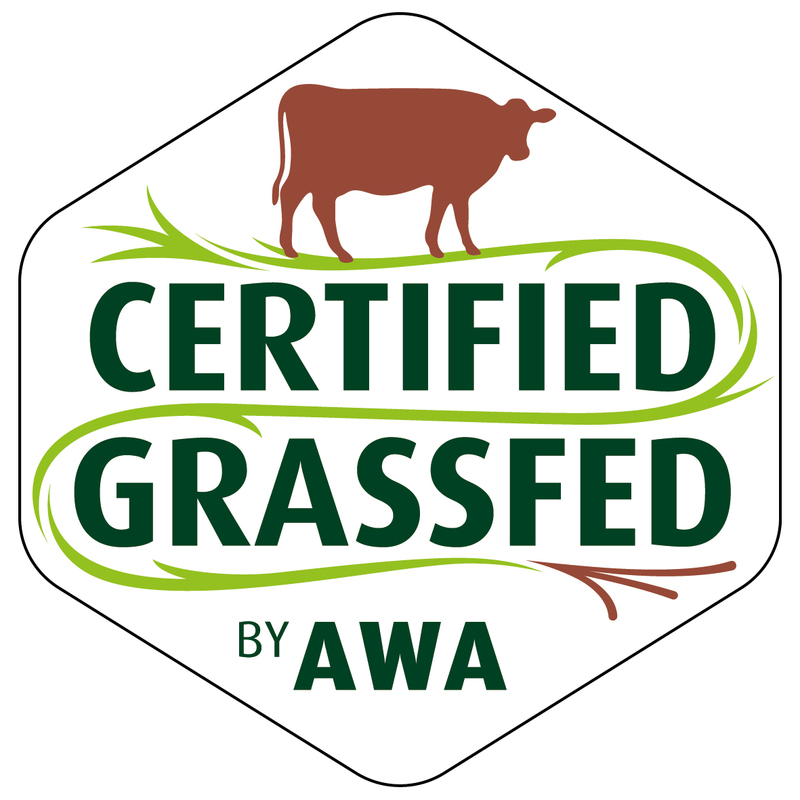 The Galloway ability to finish on grass, combined with the maternal and growth characteristics of the Angus, allow us to produce a high quality grass-finished product in 17 to 22 months. Our cattle graze open pastures in communal groups, as cattle naturally do. They are moved from one pasture to another in the least stressful way possible, and are never fed in crowded, small pens. Cows feeding on frosty morning. In the winter the animals are fed outside with adequate wind breaks, water and bedding. Calves are generally fed separately from cows during the winter to ensure that the young ones get enough to eat to grow well. Both are given forage of suitable quality for their good health and growth. We believe the quality of the meat we sell is the result of both the feed and the approach we take to raising our cattle. They are born on the ranch and stay on the premises until harvest. There’s no trucking between pastures or rangeland, no upset to their routines. The animals are handled safely and humanely. They never face the stress of being trucked hundreds of kilometres and mixed with strange animals from other herds. They get to hang out with friends and family in their natural habitat. From a cow’s point of view, we think they have an ideal life. Along with superior genetics, we believe low stress helps produce a delicious, healthy lean meat. Putting up quality forage to keep our calves growing nicely during the winter. A note about therapeutic antibiotics – if one of our animal is sick or in pain (or at risk of death,) we will use antibiotics as a last resort to treat the problem. It is the humane thing to do. However, any animal we treat with antibiotics is removed from our grass-fed beef program. We are fortunate to have a government-licensed abattoir 20 minutes from home which reduces the travel stress when it comes time for harvest. All carcasses are inspected to give further assurance of meat quality.